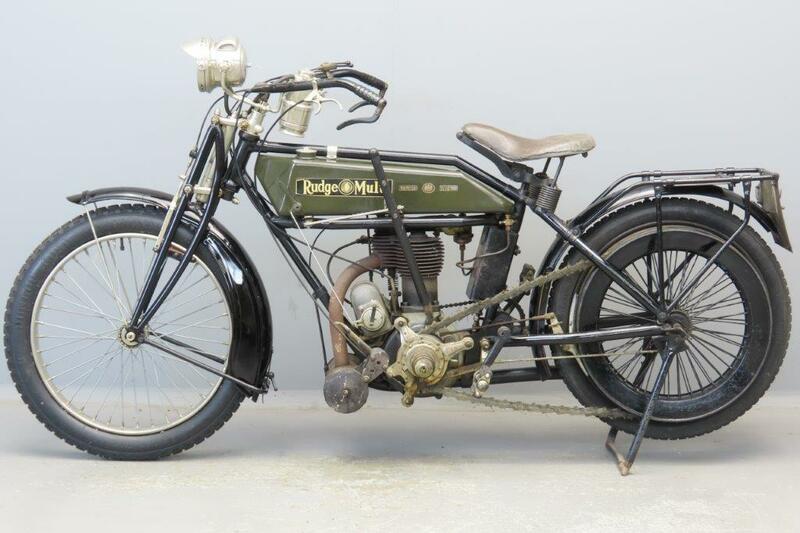 With the introduction of the Multi Gear in 1912 Rudge was far ahead of the competition. 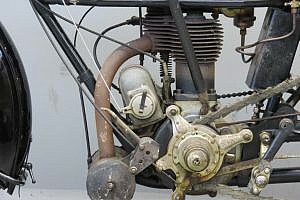 They won the 1914 TT races with this system and Rudges were subsequently barred from certain speed events because of their “unfair head start”. The factory turned this to their advantage by using the “ barred” logo in a clever company advertising campaign. The Multi Gear system is based on the possibility to vary the diameters of both front and rear pullies, like the well-known DAF Variomatic system. 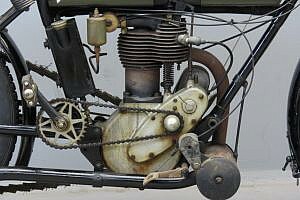 By moving a long lever alongside the petrol tank about 18 different gear ratios can be selected. While on the move the rider can choose the engine rpm that gives most engine torque and then he can raise the actual speed of the machine by changing the gear ratio with the “multi- lever“ without actually raising the engine rpm, a remarkable experience when being out on a multi for the first time. The machine on which Cyril Pullin won the 1914 TT had a special lowered frame and this type of frame was also used on the TT models in the 1919 range. 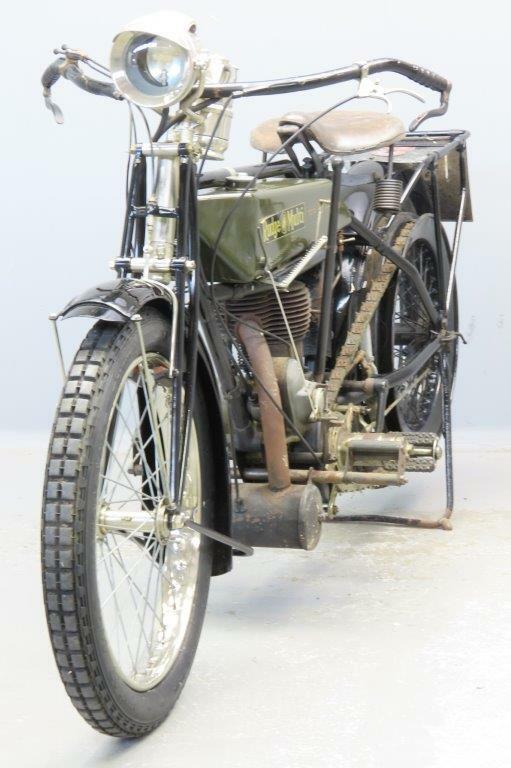 The standard Multi still had the pre-war higher frame with the top tube parallel to the lower tank tube. The factory noticed that the models with lowered frame were much more in demand so from 1920 on the lowered frame was also used for the standard Multis. 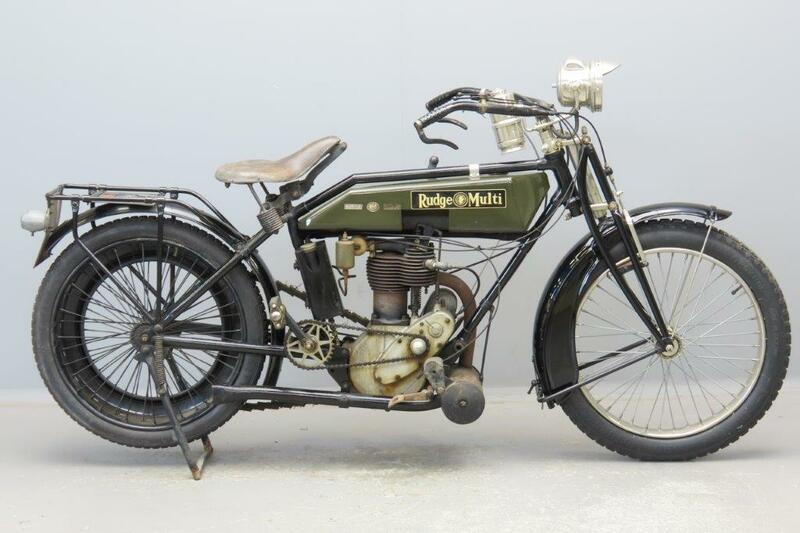 Business went well in 1920; the production rate for mid-1920 of 30 Multis a day was the highest rate the factory ever reached. This machine comes with Nirona acetylene lighting and is in good mechanical condition. 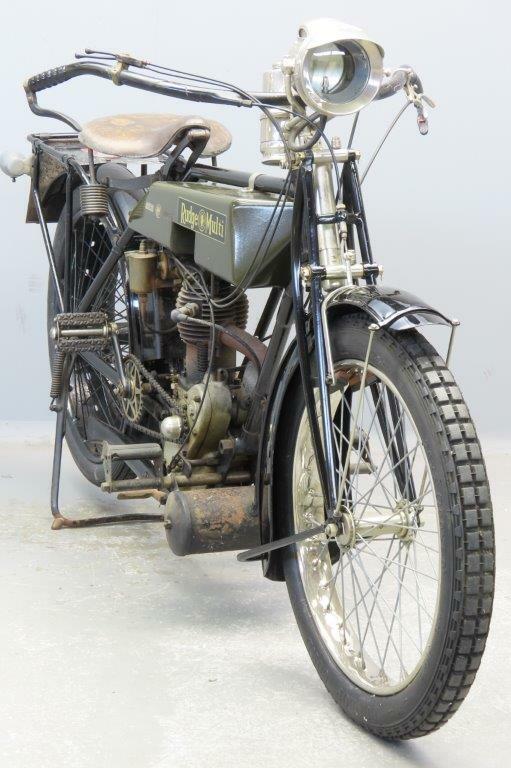 It has been stored for a number of years and its original finish is still apparent in places; the typical Rudge celluloid finish on handlebars, pedal cranks and Multi lever is still there. Carburettor is the usual Senspray, magneto is the new-for-1920 ML. 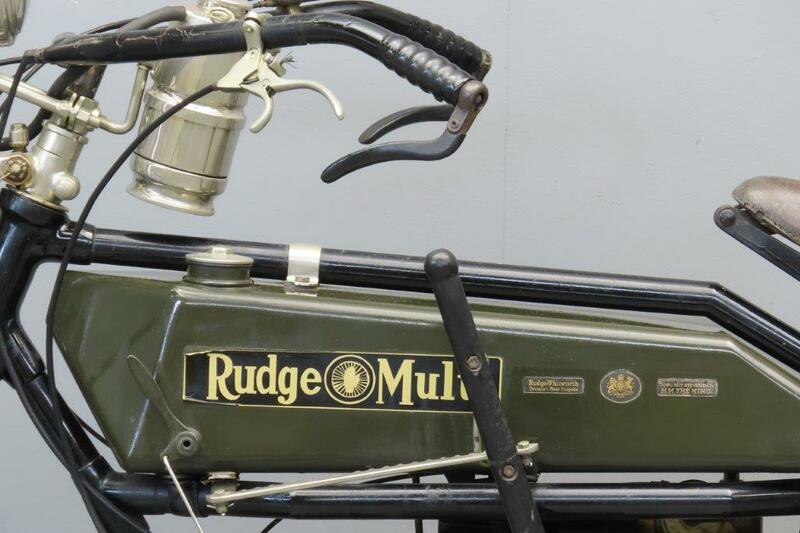 A Rudge Multi offers the rare combination of vintage high technology and superb riding comfort.